Server monitoring allows system administrators to track in-depth performance data about a server’s status and health. This can include monitoring the the CPU load, memory utilization and disk fill levels, and if business-critical processes are running. Monitoring is accomplished by alerting if any critical events occur of thresholds are reached, allowing the administrator to act quickly to remedy the situation and prevent future issues. Many companies rely their servers to conduct their day to day business. As such, a server is a critical piece of infrastructure that requires constant care and maintenance. Failing to do so can lead to costly server crashes that disrupt workflows, client files and deadlines which, ultimately, negatively affect the business’s bottom line. Servers are often distributed across several physical locations, operating in hybrid setups that mix on-premise servers and cloud-based solutions. This makes it difficult for systems administrators to maintain an overview what is going on in their networks. The most important function of server monitoring tools is to notify you in the moment an issues occurs with your server, regardless of where you are. This let you act fast to remedy the situation and keep the server running. 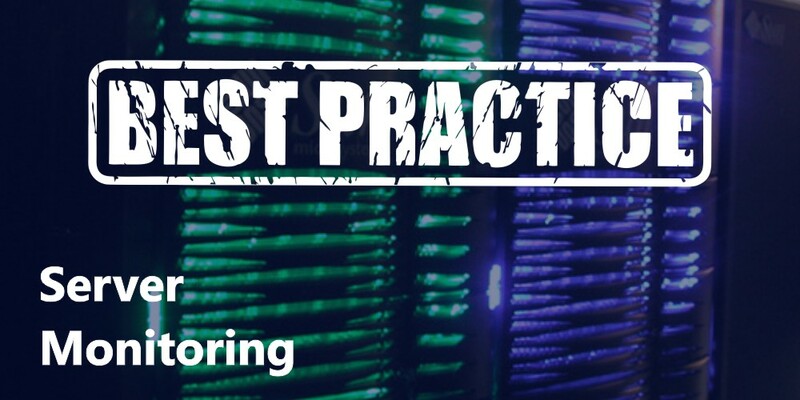 Monitoring can be either reactive to issues that have already occurred, or proactive to issues that are about to develop, such as disk fill levels reaching >90% capacity or memory reaching critical levels. This is especially important with larger server and network setups, or ones that are physically located in different places. Server monitoring lets you keep a detailed overview of your entire system via a unified dashboard, giving you peace of mind in knowing that all systems are working as intended. Server monitoring tools let you drill down into the hours, days and weeks leading up to a critical server issue. This lets you determine if the issue built up slowly over time, or failed spontaneously. Knowing why issues are occurring, and what has occurred before, will help you make the right decision going forward. Because of the ongoing alerts, overview dashboards and historical data, you will have a wizard-like mastery of your server and deep intelligence into what has worked and what hasn’t. This allows you to make the right decision for optimizing your network long term. Each option has its own pros and cons, as outlined in this article, and your choice should depend on your unique business requirements. The bottom-line is that not having a server monitoring tool in place is the worst option you could go with. As a SaaS-based platform, CloudRadar provides all of the server monitoring benefits outlined above in a cloud environment, allowing you to access your data and notifications even if you’re not at the office. 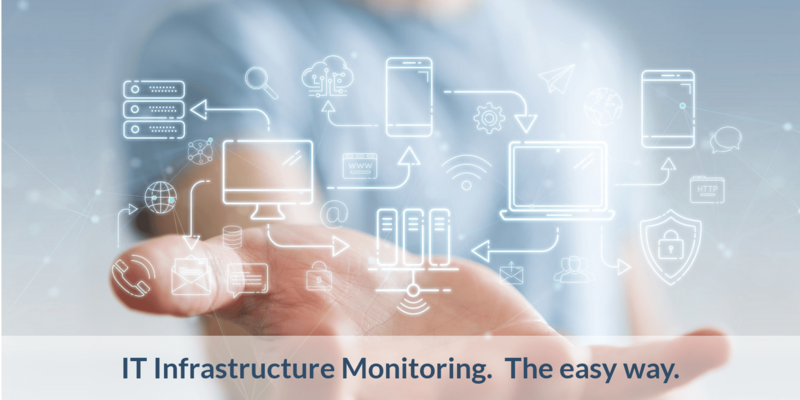 You can combine this server monitoring tool with network and website monitoring as well to ensure that you have all of your critical systems under control. 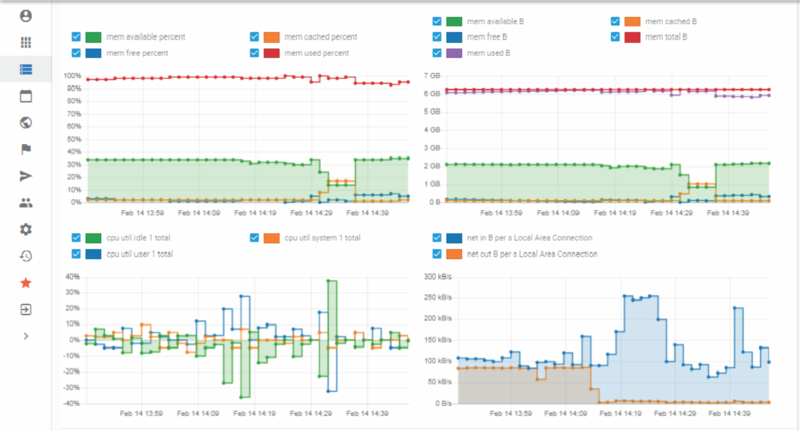 Heartbeat checks – Monitors basic server availability at set intervals (that should be customisable). ‍CPU usage checks – Checks your CPU usage across your server(s), with the ability to customize alert thresholds for critical levels. Memory consumption check – Check memory consumption and levels, and set alert thresholds on critical levels. Disk fill check – Automatically detect all connected disks and monitor their fill levels - you should be able to set your alert thresholds for critical levels: 90% is a good default to start with. Service check – Identify specific services provided in your server and ensure they are running as planned. Custom check – Customize the checks you think you’ll need to effectively monitor your server. Alerts and notifications – he ability to choose appropriate channels to use for receiving notifications. There should be multiple options to ensure that you will receive your critcal alerts everywhere. ‍Reports – Ability to both see historical data and receive scheduled reports on a daily, weekly or monthly basis to provide proof of your server’s performance. Once you have your customized settings in place, monitoring your server is a breeze with CloudRadar. 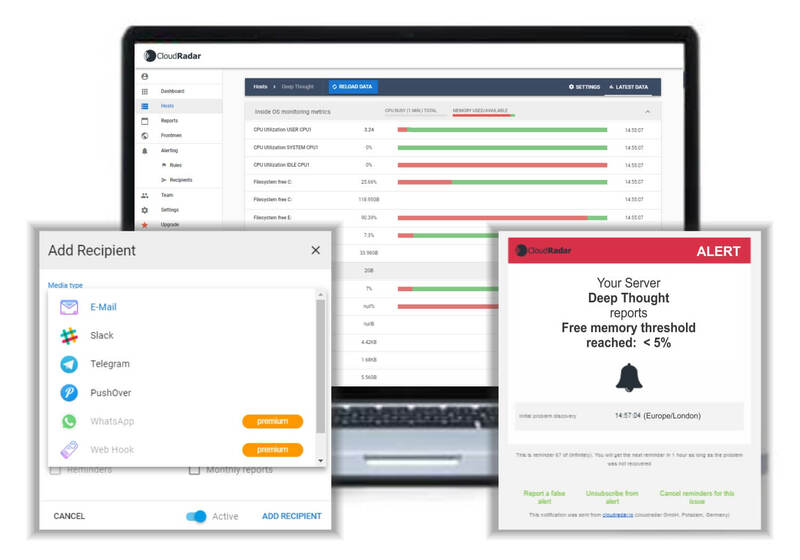 CloudRadar was designed to follow best practices, and to revolutionise monitoring with a modern, easy-to-use online tool for next-gen System Administrators. 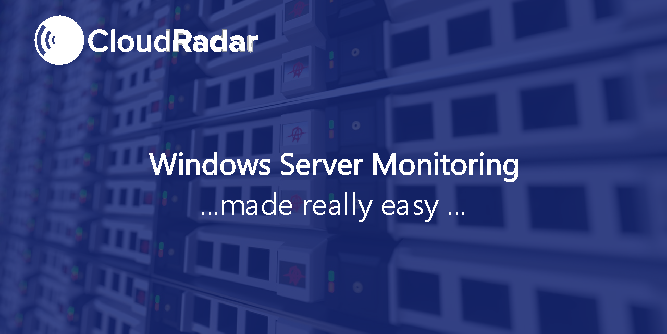 CloudRadar provides fast, easy and affordable server monitoring to fit your exact needs. Start your free version of CloudRader today to get the benefits of SaaS-server monitoring. The free version is available for 15 days. No credit card required. Combine server monitoring with network and website monitoring for a full overview of your systems infrastructure.